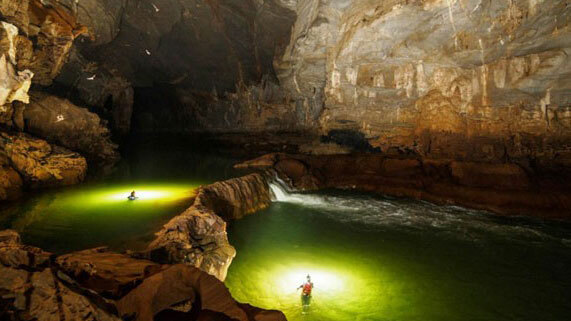 Vietnam is to launch a tourism promotion programme in Singapore on June 4 and introduce a tour of Son Doong cave to ASEAN tourists who attend the upcoming 28 SEA Games. Minister of Culture, Sports and Tourism Hoang Tuan Anh will have a working session with Singaporean Minister of Trade and Industry Lim Hng Kiang on measures to spur bilateral tourism cooperation. The Vietnam National Administration of Tourism (VNAT) and travel agents will promote the nation’s tourism sites and cooperation opportunities. Howard Limbert, head of the Son Doong cave adventure team will talk about the tourism potential in central Quang Binh province and a plan to make a film featuring Son Doong on Singapore’s TV Channel 5. Singapore is expected to welcome tens of thousands of visitors from ASEAN and other countries during the 28th SEA Games, offering a good opportunity for the VNAT to promote tourism in Singapore and other Southeast Asian countries.